After an extended vacation I am back writing for ScifiEmpire.net. First on my todo list is a write-up on the best things I saw at this years E3 show in LA. Below are 10 Sci-Fi games I am looking forward to. CD Projekt RED’s Cyberpunk was the darling of this year’s E3. Unlike us mere mortals the press was given the opportunity to see the game in action. It was a 45-minute walkthrough and ever since none of the game journalist present have shut up about the game. The rest of humanity had to make with due with a trailer that sadly was devoid of in-game footage. The action RPG set in a dyspotian future world inspired by Blade Runner and Dredd has been on my radar ever since it was announced back in 2012. That is how long we have been waiting. That said, production did not commence in earnest until after The Witcher 3 had been released. Now that there is at least an alpha version running I have my hopes up that the game will at least be released in 2020, but probably not sooner. I can wait – if it is the game of a life-time. Another game that can be said to the game of a life-time is Beyond Good and Evil 2. 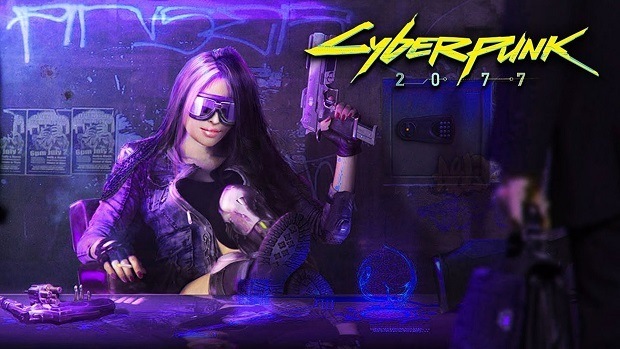 Just like Cyberpunk 2077 it does not have a firm release date – but I would guess no sooner than late 2020. This year at E3 Ubisoft did show off more in-game footage – revealing some of the basic fighting mechanics and the insane open-world freedom. You might even say open-solar system freedom. When asked by a journalist how the day and night cycles were modelled the response was that they aren’t. The light source, in this case the sun, is simply blocked by the planet’s rotation. The only game that comes even close to this kind of world-simulation is Star Citizen. Beyond Good and Evil 2 is set for PS4, Xbox One and PC – at this stage I think a Switch version is unlikely, but never say never. Below you can see 2 videos. The first is reveals the story while the second is a demo showcase featuring the current state of the game. When Anthem was first shown at last year’s E3 it was somewhat derided. Sure the trailer looked promising, but to many it still wasn’t clear what the game was all about. Comparison as a Destiny clone was unusual as it was being developed by BioWare – but published by EA so that might account for some of it. This year Anthem is back in full swing. With the game being delayed to February 22 2019 the developers have bought themselves extra time to polish the game. Now I apologize ahead – I am going to use some difficult phrases. Anthem is not an MMO – instead it is an online multiplayer game. The game world you will occupy as a player is shared with 3 other players. In that it resembles some aspects of what Ubisoft has been doing. Call it MMO-light. The game world is a ‘contiguous open-world’ meaning there are no loading times. But as there is a speed limit for your Javelin (the name for the exosuits) I suppose new terrain is constantly loaded. The game can be played as both single-player and cooperative (with no PvP) – with the restriction that everything happens online. As for the story? Well it is set on an alien planet, you fly and fight in exosuits and you are called Freelancers. Essentially it is a thin veneer to get players to continuously keep grinding. The story was written by Drew Karpyshyn who previously worked on Knights of the Old Republic and Mass Effect. That is at least somewhat hopeful. One of the game’s I regularly play is The Division. When I first saw the first game in action I was hardly convinced – the pixelated graphics and the boring shoot-and-cover gameplay drove me away. I am not certain why the footage released by Ubisoft was so rotten but after hearing some good things about the game 6 months after its initial release I gave it a shot. And I have been hooked ever since. The detailed environments of Manhattan hit by a virus known as the green poison and the simple progression system made this a keeper. Also the optional MMO aspects such as The Dark Zone and Survival mode are impressive qualifications. The Division has been a clear instance of a game improving after it was released. Now Ubisoft tries again with The Division 2, this time wintery Manhattan is traded in for sunny Washington D.C. As much as I want this game to succeed I am not certain I want to trade it for the first game. So far the sequel seems to be more of the same – the inventory system has been overhauled and the diverting player classes means the rock-paper-scissors concept is still going strong. Basically the sequel is the original on steroids. Meanwhile there is a beta you can sign-up for. Follow the link. One of the games I am most looking forward too is Metro Exodus. Developer by 4A Games the story is based on the science fiction works of Dmitry Glukhovsky. Set in a post-atomic world players have to survive in an unforgiving world reminiscent of Mad Max meets Chernobyl. Metro Exodus is a an action shooter but also heavily leans on survival and stealth. Weapons are fully customizable, in fact practically anything can be fashioned as a weapon. With limited supplies available for scavenging, player choice becomes extremely important. Metro Exodus made an impressive showing last year but at this year’s E3 I was blown away. Don’t take my word for it, but instead watch the 17 minute walkthrough of the game below. Metro Exodus is set for February 22 2019 release for PC, PS4 and Xbox One. Control is the latest game from Remedy entertainment. the developers of Max Payne, Alan Wake and Quantum Break return with yet another strongly narrative driven. You play as Jesse Faden, the director of the Federal Bureau of Control. With your firearm that can transform into different shapes you fight the Hiss – who have infiltrated your organization. Remedy showed an impressive trailer at E3 with gratuitous scenes showing supernatural and telekinetic abilities. Yes, Control is very much a Remedy game. Unlike Quantum Break the game will be high replayable and a as first for Remedy will contain side-quests. Control is set for a 2019 release on PC, PS4 and Xbox One. Starlink is an unusual game in this line-up. For one, it is the only game definitely coming to the Nintendo Switch. Secondly, it is not a Starfox game but it does feature the space faring rodent with a sharp eye. Starlink is a fast paced action game in which the player explores a solar system with their little ship to fight for resources. These resources are needed to repair the mother ship Equinox. What it basically boils down to is that you fly a little, lock onto a target and hold down the A-button until the target is destroyed. If done well such a game can be immensely fun, and there may even be more depth to it. Developer Ubisoft Toronto has even added a toys-to-life feature in which models of the spaceship can be used to configure your own in-game ship. Sounds cool right? It does to me, although knowing Ubisoft those models will cost some savings. You can watch the trailer for Starlink below. So far the game deserves to be on this list – it would have been displaced by Metroid Prime 4 otherwise. However I remain concerned about the graphics – those don’t look particulalrly good on the Switch. Very little is known about Starfield. And as such I have very little to write about. Starfield is Bethesda Game Studios first new IP in years. And it is set in space – that about sums it up. After fans if Fallout were disappointed to hear Fallout 76 would multiplayer only (see preview below) the game developer quickly confirmed that Starfield would a traditional single-player game – the same would go for The Elder Scrolls 6. At this stage it is not even certain what kind of game it will be. Will it feature spaceships – probably. Will you be able to go planet bound? If so this game is starting to sound like a possible Squadron 42 killer. And on that score Starfield makes it to this list. According to developers at Bethesda the game is running internally, but development still has a long way to go. Watch the teaser trailer below. Few people were anticipating seeing a new version of Halo at E3. Halo 6, now called Halo Infinite was kept under wraps until Microsoft showed off a trailer in the pre-E3 presentation. Built using the new Slipspace Engine the game promises to focus solely on the Master Chief. The game is under development by 343 Industries. In commentary to the press the developers made allusion to creating a dynamic and vibrant game world similar to Zelda Breath of the Wild. The diverse locations, flora and fauna in the trailer hint at an massive open-world design. The game does not currently have a release date. From trailer I am skeptical it has reached beta development. I still have fond memories of playing the original Halo. It was the reason I got the original Xbox – along with Knight of the Old Republic. However since then the series has fallen into decline – suffering from a fatigue similar to Call of Duty. I hope the developers can bring back some of the magic of the original – along with a good sci-fi story. In November Bethesda Game Studios will release Fallout 76 – an online multiplayer only incarnation of the Fallout franchise. Officially it is not an MMO, but it does feature some aspects of an MMO. Players will be moved onto a server dedicated server with other players and be able to explore the game from there on. Aspects from Fallout 4 will also be making a return – such as base building. How that works out in an online multiplayer world is uncertain. One of the things that become clear from the trailer is the draw distance. Fallout 4 in my opinion suffered from its reliance on an older engine. The game world was highly compressed which reduced the realism and fun. The open and diverse spaces of Fallout 76 feel a lot more natural. One unusual aspect of Fallout 76 is that is supposedly won’t contain any NPC. As it is a shared world players could in theory interfere with each other’s progress if there were any, but I do believe there are ways around that problem. It is just not the Bethesda way. The trailer at E3 showed off the lush surroundings of West Virginia which will be the game’s settings. Bethesda did not cheapen out and indeed did use that John Denver song in the trailer – kudos to them.